Please contact us if you have any questions, suggestions or comments about our pre-nursing school study guide @ nursing@hltcorp.com or call 319-237-7162. I only used this app and the Maria Leik book to prepare for the ANCC FNP exam and passed on the first try. I did not take a review course. 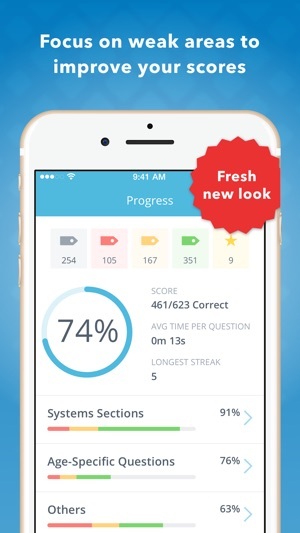 This app gives great explanations and the question format is similar to what is on the exam. For $45 dollars, the full version is completely worth it and worth every cent! 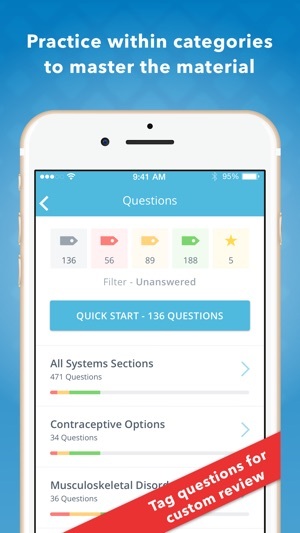 I will be recommending this app to anyone preparing for the ANCC FNP exam. I honestly think it is even worth it for those who are taking Adult-Gero because there isn't a ton of peds stuff and you can filter out the peds questions. Congrats on passing, that is awesome! :) Also, thank you so much for the positive review and the great feedback on the FNP Mastery app. We appreciate it so much! This was the only App I purchased to study for the exam. I also studied from the Maria Leik book. The thing I like about this app is that I was able to work through the questions anywhere at all times of the day. 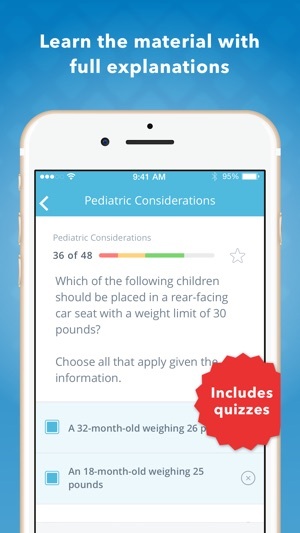 I am a busy mom with two small children so this app made it super convenient for me to study. Also, the questions on this app were similar to ones on the exam. I took the AANP as well as the ANCC exams and passed both on the first try. What an achievement! Congratulations!!!!!! Study anytime, anywhere!!! Thank you for taking us on your nursing career journey :) and for the great review! Thank you for the five-star review. Good luck as you study for your exam!